Just in time for EDSA Day. 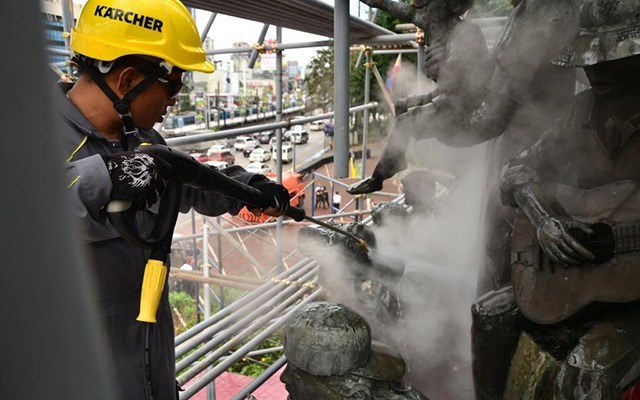 (SPOT.ph) After a successful clean-up of the Rizal Monument in December 2017, Germany-based cleaning experts Kärcher once again lent their expertise to help restore and clean up the People Power Monument along EDSA. This four-day project started on February 12 as part of the company's thrust to support the preservation of historical monuments and buildings. 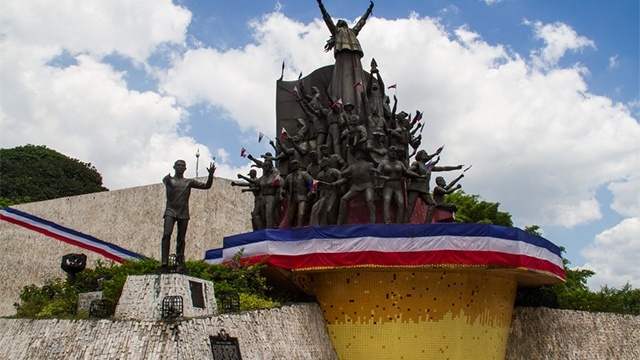 The People Power Monument, created by Eduardo Castrillo in 1993, is located on the corner of Epifanio de los Santos Avenue and White Plains Avenue in Quezon City. 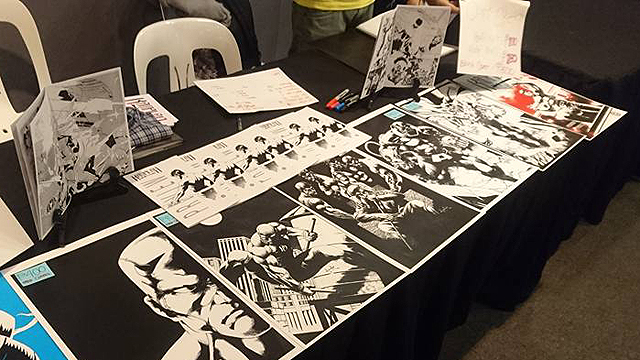 It commemorates the People Power Revolution of February 1986, which protested the atrocities carried out by the Marcos administration and eventually ousted the authoritarian regime. The clean-up was done just in time for the 32nd anniversary of the non-violent campaign. “We at Kärcher are deeply honored once again to work together with the NHCP in this project. Standing as a symbol of hope and beacon of freedom, the People Power Monument is one of the most enduring legacies of the Filipino spirit, showing how in the midst of turbulence and conflict, a whole nation can become one. We assure everyone that we will help NHCP in any way to provide the utmost of care to the monument,” said Zurich Fernandez, Country General Manager of Kärcher Philippines. Like Kärcher's previous clean-up drives of Mount Rushmore in South Dakota, the Statue of Liberty in New York, and recently, the Rizal Monument in Manila, high-powered steam cleaning machines were used to remove dirt and pollution that the memorial has incurred throughout the years. Long-term damages caused by biocorrosion and salt coating were also fixed in the process.